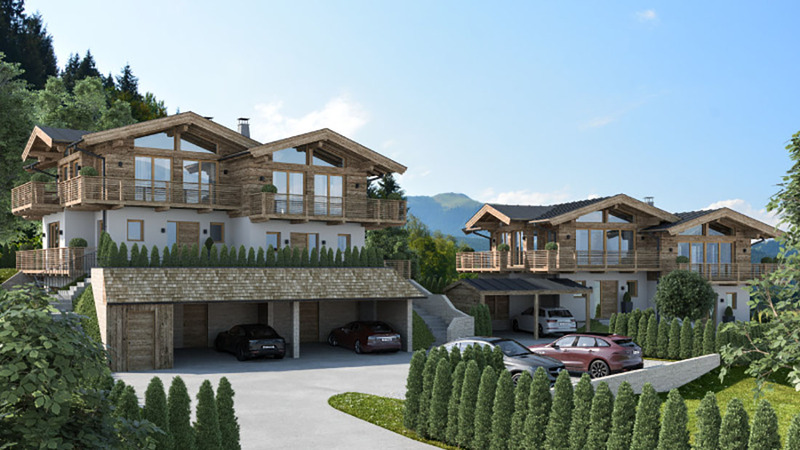 These high-quality chalets are being built in an idyllic location at Reith bei Kitzbühel with a view of Schloss Münichau. 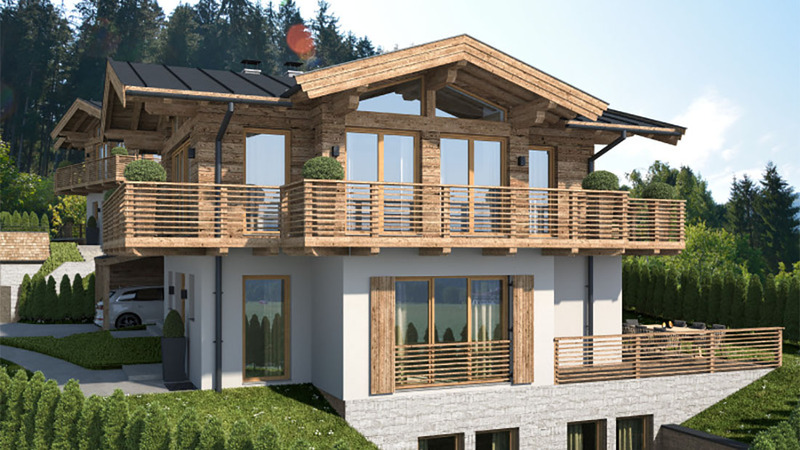 By using exclusive materials, these chalets correspond to the style of the Tyrolean Alpine feeling. They have bright, light-suffused living, dining and cooking areas with a fireplace and exposed roof truss, three bedrooms and three bathrooms. Plus car ports, outdoor parking spaces, terraces and green spaces.